Time is an interesting thing. For instance, I was looking through some old photographs and stumbled into a collection of pictures from a family gathering some time around 1995-1996. And as much as I want to believe it was only yesterday that this picture was taken, I know that so much time has passed. When I snapped the shutter of my Olympus camera so long ago Emily and Andrea were just little girls. They were cousins who enjoyed one spending time in the kitchen with their grandmother, playing with dolls, rough-housing on the living room floor and taking long walks in the woods. They were innocent, easily entertained, and always fun. Of course, life has happened to us all over the past 15 years. Great-grandparents died and were buried. A brother and cousin was lost tragically. Cancer was treated. And the family grew closer. Graduations were celebrated. Birthdays, Christmases, Easters, camping and cook outs occurred with fanfare. Vacations were shared and memories were built. And all these things helped shape our lives. Of course pain has visited the family unexpectedly and left scars on our hearts and minds but laughter has also filled our lives and brought healing and relief. Time brings both sorrow and joy. We cannot stop it. It moves forward and it has all happened in a blink of an eye. Time is an interesting thing. 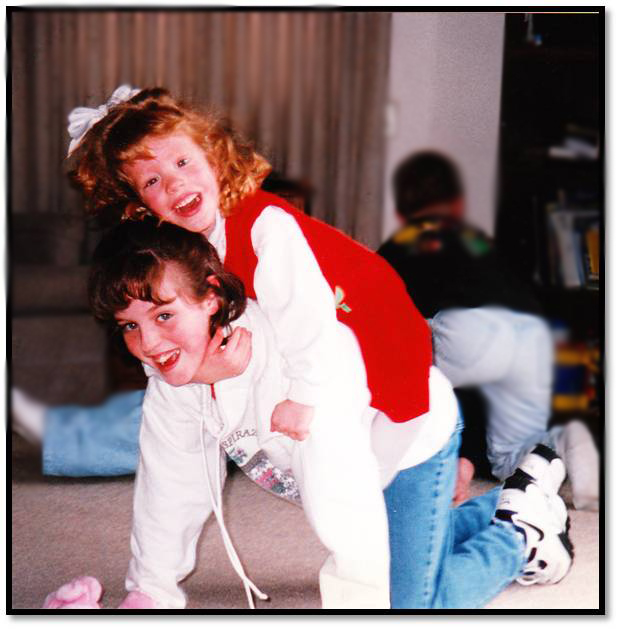 These cousins, romping on the floor of our living room in Muncie, Indiana are no longer little girls. Through hardship, joy and love, they have grown into amazing women who are making a difference in their little corners of the world. I love them both and can’t wait to see what the next 15 years will bring.